The engine for this Powerhouse generator is 125CC and it has only one cylinder and it has the four-stroke configuration. This four-stroke engine has an economy mode to save fuel and noise pollution. So you can run it to simply conserve fuel or to throttle back to only produce the power you require. The engine protects itself from overload through an automated internal circuit breaker. But it has a fuel primer bulb and also there is an automated choke. These two things automatically restart the engine if it ever fails due to overload. The generator only has a 5-20R receptacle of 20 Amps. The consumer level warranty for this thing is 2 years. 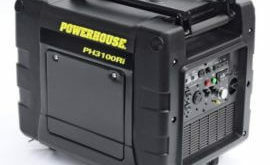 You can Take Powerhouse PH2100PRi Gas Powered Portable Inverter generator anywhere due to the portability it offers. 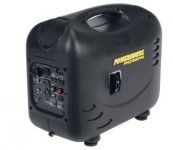 The generator has an inbuilt carrying handle. The weight of the generator is 73 lbs. This is one of the lightest generators around. So, you will have no problems in carrying this thing over to anywhere you may go. If you run low on power, you can even attach a similar generator with your existing one to double the power driving capacity. It offers you a great combo of features and the value when you buy it. It is set to rival many of the established brands in the market. 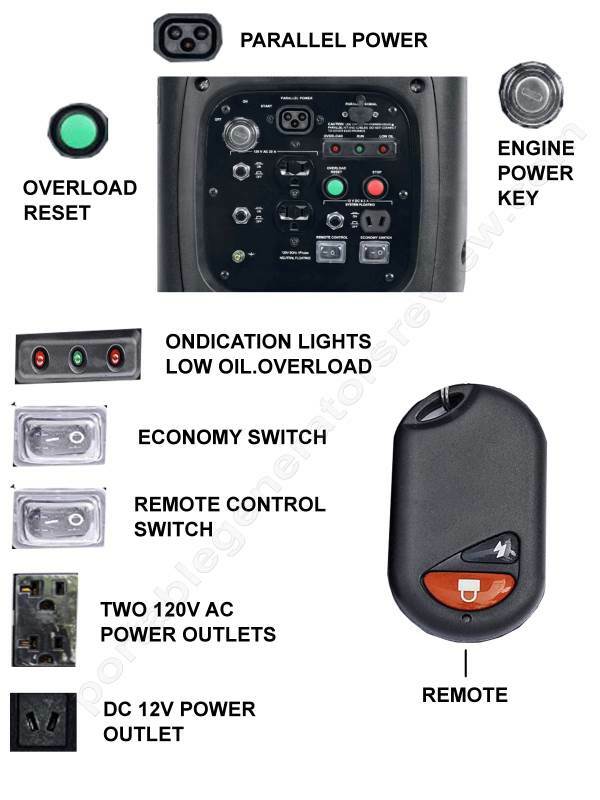 In more conventional portable generators you will get just straight AC power available. But thanks to the powerhouse inverter technology, this generator switched between AC & DC and converts back to AC to provide a more smooth power delivery that your home needs. This is vital if you have sensitive equipment like some household electronics. This is mainly achieved by a tiny processor located in the actual inverter module which alters the AC current of high frequencies to DC current and then the Inverter Module does well to change it back to AC power of 120 volts and 60-Hz. The only difference is, this power is cleaner than before. Suitable Price is one thing I like. The generator has a 4.35 HorsePower Engine which supplies power. The generator has Economy and Normal Modes for fuel savings. Powerhouse PH2100PRi provides clean electricity whenever you use it and keeps the appliances safe from damage. The inverter Technology works really well. It has an electric start and you can even start it by a remote control for your convenience. You can run one more generator parallel to an existing one via a tool kit to maximize the power output to 4600 Watts. You can run everything with this generator. Plus, it protects you from overloading. With all the features we have discussed in this Powerhouse 2100 Generator Review, it is a power efficient generator that works very well with your computers and other accessories. The portability of this generator along with the powering options make it a favorite among many. The warranty of two years is also standard. Most importantly, it goes by the regulations of CARB, CSA and more so you can run it virtually everywhere without ever posing a problem.